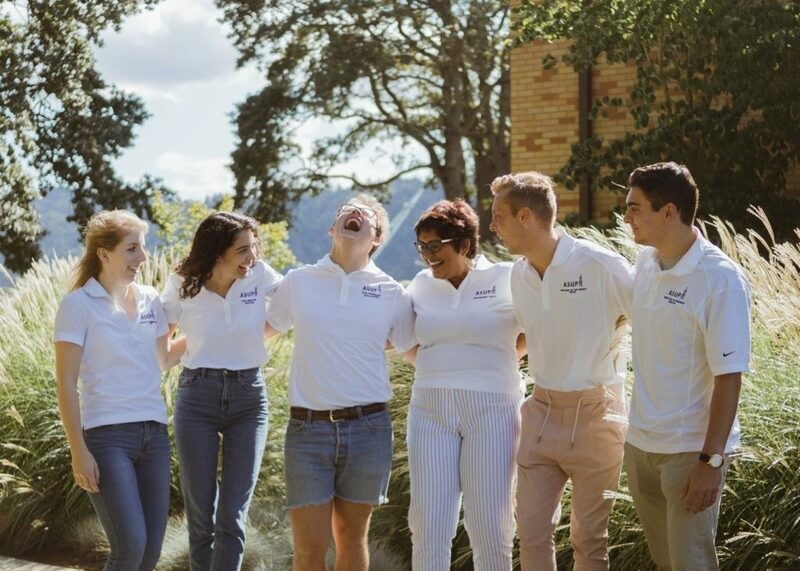 All full-time undergraduate students are members of the Associated Students of the University of Portland (ASUP), founded in its current form in 1949. ASUP exists to provide an organization that represents the needs and interests of students, to develop extracurricular activities, and to foster the recognition of students’ rights and responsibilities. For more information, please contact ASUP (asup@up.edu). We gather today as the Associated Students of the University of Portland to serve the student body. As a governing association, we work to encourage a thriving campus through a strong adherence to the values of our fellow students. We pledge to promote integrity and professionalism and are committed to ensuring the wellbeing of students from all backgrounds. We will continue to serve, represent, and advocate for our community honestly and with transparency. ASUP also has committees directed to serve different aspects of the UP community including Infrastructure, Student Affairs, Academic Affairs, and Communications. Committees are composed of both senators and non-senators. If you are interested in joining a committee, contact the Speaker of the Senate, Brady Boos.